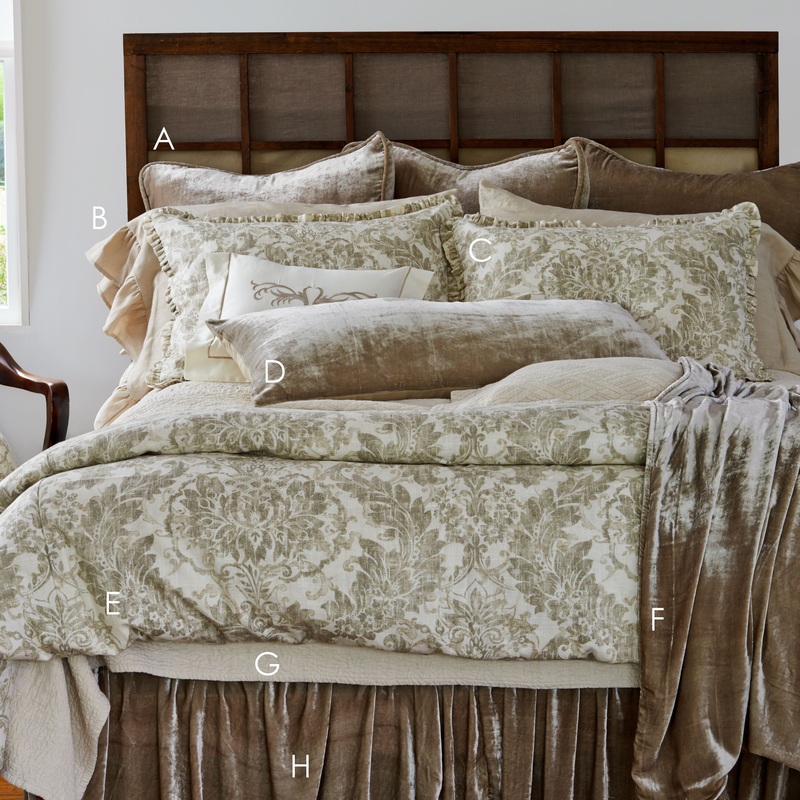 A best seller for years, this fine collection is a must have in any master suite. Elegant silk velvet drapes effortlessly and pairs beautifully with this gorgeous print. A fine representation of texture and color coming together for a unified, sophisticated look. *Corded Velvet shams are no long available, but are now offered as plain edge shams.